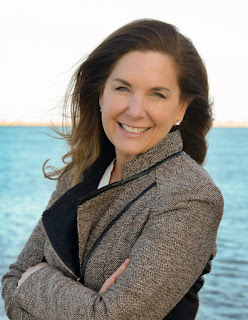 Sea, Sand & Sky: Exploration and Sea Glass Stories at CHV! Exploration and Sea Glass Stories at CHV! Welcome one and all to another exciting blog post about my adventures at Camp Harbor View! So, for these past couple of days we really had an opportunity to mix things up at CHV. On Tuesday, instead of bringing all the campers down to the docks for a round of fishing, we decided to take them on a hike up to the lighthouse and old Cold War era fort on the island. 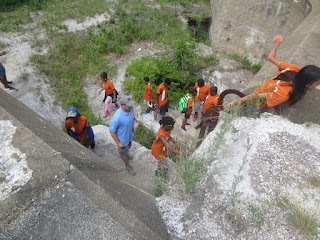 Some of the kids were a bit leery of going into the woods, even if there was a trail, but they soon changed their minds once we got up to the fort itself. Most of the kids already knew the story about the Lady in Red, the ghost who supposedly haunts the island, but we were sure to tell story to those who didn't. Once we got to the fort we split up into groups to explore the fort. The kids had a blast going through the dark tunnels and scaring each other (and us) and the CHV staff got in on the fun too! All in all. everyone involved had a great time exploring a piece of the history and folklore of Long Island. On Wednesday we had another chance to do something different with the kids. Since the camp was having a big event during the morning, they were unable to send any kids to visit us at the docks. So instead of coming to us, we went to them. We brought our box of sea glass, shells, rocks, and other artifacts found on the beaches of Boston Harbor to the KIP building where the event was happening. The CHV staff were happy to have us there and helped us get a table set up. 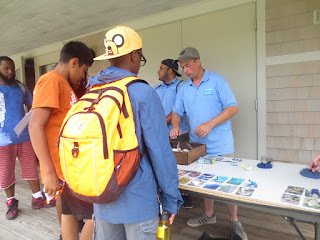 As the kids rotated through the different activities set up at the event, they eventually came by our table where we taught them a bit about sea glass. Then we challenged them to find something in our box that they thought was interesting and make up a story about it. The kids in each group with the most interesting stories won a special marble that they could use to enter a drawing for a bigger prize later on. My personal favorite story was one about a piece of glass that apparently was originally the eye lens of a "cyborg from another realm" who lost it in a fight with Poseidon on the beach. The kids had a great time coming up with stories and one upping each other by making their stories more and more outrageous. Explaining the rules of the storytelling game. That's all for now, see you next post!